This week the Bureau of Labor Statistics released jobs numbers for April. The US gained 290,000 jobs and has had job growth for each of the past 4 months. 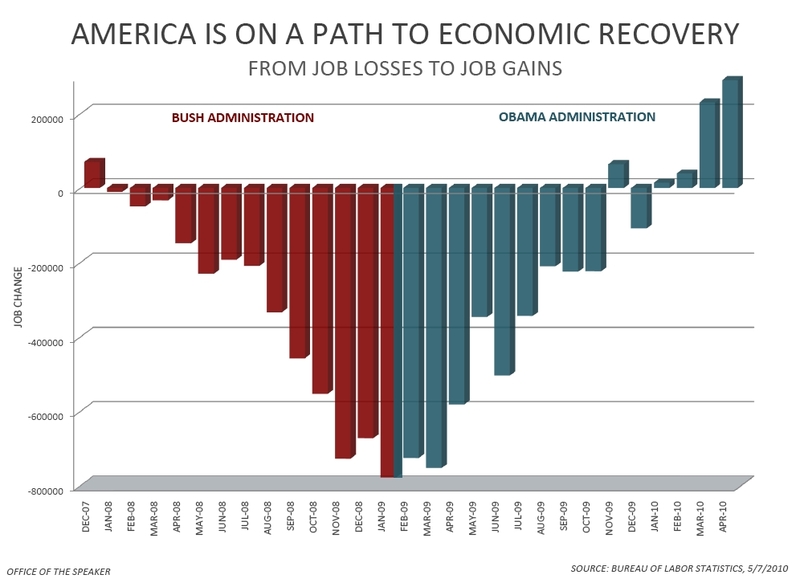 This growth is a pretty stark contrast over the results of the Bush Administration. We still have A LOT of work to do, but these positive results are very good news. -- Cross posted at WVaBlue.com.